Relief from tired, stiff joints in as little as 5 days with just one small capsule once per day. 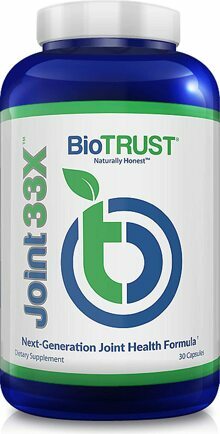 Supports Joint Mobility and Flexibility with UC-II, a highly effective form of collagen for joint comfort. Reduces joint discomfort and stiffness by re-energizing fluid levels within the joint. Stops collagen-degrading enzymes in their tracks to preserve joint function. Independent laboratory testing ensures potency and purity. GMP quality assured. No sugar and no artificial sweeteners, flavors, colors or preservatives added. Gluten-free, soy-free, and non-GMO. Contains ingredients sourced from poultry (chicken).